Firestarter's Blog: First Look At Kamen Rider Drive!!! First Look At Kamen Rider Drive!!! Recent toy and other magazine scans finally show photos of Kamen Rider Drive! 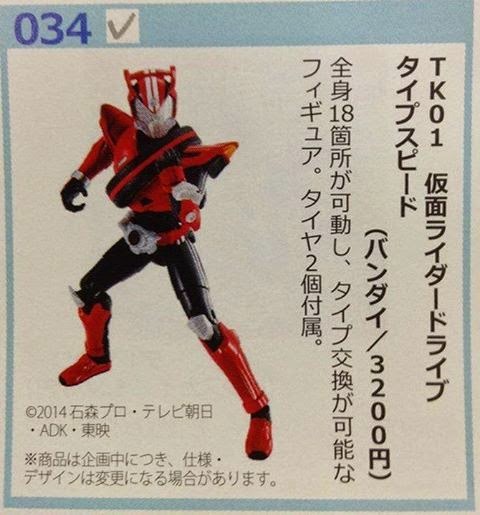 Above is an image of the TK01 Kamen Rider Drive. It will have joints similar to OCC, WAP and Arms Change series. Though the inclusions are still unknown the TK01 KR DRIVE TYPE SPEED will be released this October 2014 for 3,200 yen. 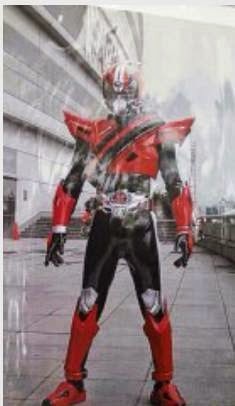 Next is another leak of Kamen Rider Drive suit. The actor who will portray Kamen Rider Drive has yest to be announced. The 16th Heisei rider will premier this October.